The following is a letter from Delaware State GOP Committee Vice-Chair, Nelly Jordan. 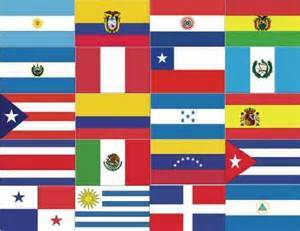 It’s that time of the year again, the Hispanic Festival will be celebrating its 20th Anniversary on Sunday August 10, at the Millsboro Little League field, 262 W. State Street, Millsboro DE 19966, from 12:00 noon to 6:00 P.M. The Sussex County GOP will have a booth representing the 41st District. All Candidates are invited to bring their signs and their literature to be given to the attendees. Candidates and their supporters are encouraged to be at the booth to pass out their literature and talk to the public. We will have Spanish speaking volunteers to translate for the candidates. Most important is that we have our presence at this well-attended event where you can enjoy delicious ethnic food and the variety of music and presentations form different countries. Our candidates can interact with the people and in many cases I can take time to walk around and introduce them to the vendors and community leaders. I hope to see you all there on Sunday August 10, from 12 noon to 6:00 P.M.
5 Comments on "Hispanic Festival"
es la época del año, el Festival celebra su 20o Aniversario el domingo 10 de agosto, en el campo de la Liga Pequeña Millsboro, 262 W. State Street Millsboro, DE 19966, a partir de las 12:00 del mediodía a 6:00 p.m.
El Sussex County GOP tendrá un stand que representa el Distrito 41. Todos los candidatos están invitados a traer sus signos y su literatura a los asistentes. Los candidatos y sus partidarios se les anima a estar en el stand de pasar de su literatura y hablar con el público. Tenemos en Español voluntarios para traducir a los candidatos. Lo más importante es que tenemos nuestra presencia en este evento en el que asistieron a disfrutar de una deliciosa comida étnica y la variedad de música y presentaciones de diferentes países. Nuestros candidatos pueden interactuar con las personas y en muchos casos puedo tome su tiempo para caminar alrededor y a los proveedores y a los líderes de la comunidad. espero a ver el domingo 10 de agosto, desde las 12 del mediodía hasta las 6:00 p.m. Since I vowed to never post on that other site again, I will say it here. Steve Smyk is a stand up Republican with his feet on the ground and his mind on the district. I would also give thanx to the DSP for tactifully handling a multi- cultural issue which occured in my front yard this afternoon involving 2 cars. NOT DON AYOTTE announced the ” Free Bodie ” bumper stickers should be in. The big question is whether homemade tamales will have presence at the festival? That would be a yes……..